A substantial sum of money is stolen from a race-track, whilst Ironside and his team are present, and the Chief is determined to crack the case. The only clue is a car, crashed by the inside man, but if it has a secret to tell it is not going to give it up easily. A notorious gangster is preparing to turn States evidence when he is murdered, but Ironside pretends that the man is still alive, and ready to talk, in order to catch the killer and nail a major criminal. Ironside is having problems keeping a group of local kids on the straight and narrow, and enlists the help of football star Bat Masterson, an old friend of Marks. Bats brother Joe, however, is a rather less savoury character, and Bat has to choose which side he is on. A recently blinded woman is witness to a murder, and not knowing that she couldnt see him the murderer attempts to silence her. Ironside is on hand to protect her, and also to help her to come to terms with her new way of life. An ingenious art theft takes place at Comus Towers Art Museum, and a guard is murdered in the process. Chief Ironside takes the case, but another death is to follow; this time the proprietor of the museum, who is an old friend of the Chiefs. Ed falls for a woman that he meets one night in Las Vegas. She promptly disappears in mysterious circumstances, and Ed and the rest of the team try to find out what has happened. Needless to say, nothing is as it first appeared; and the truth, when it eventually unfolds, proves to be tragic. 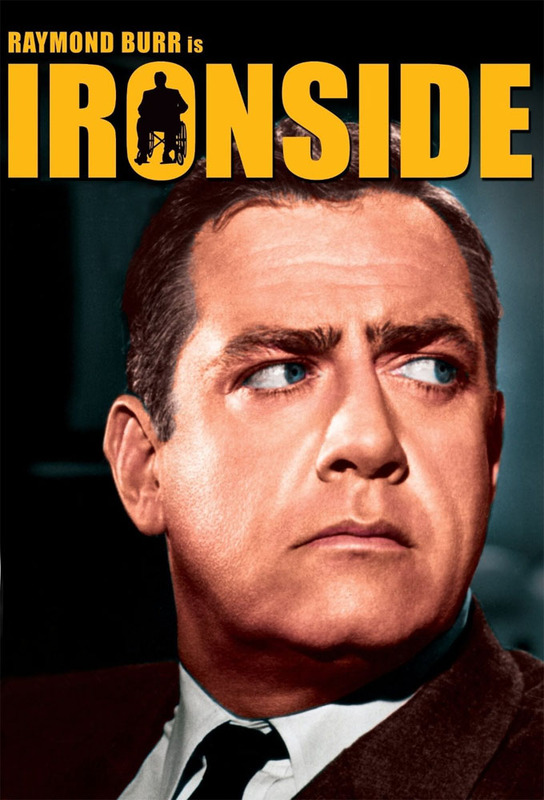 A visiting Soviet athlete vanishes during a practice run, and Ironside is placed on the case. It soon turns out that the trustworthy Soviet hero is anything but, and that the athlete is working for American Intelligence. Has he simply disappeared, however, or has he been found out? A local businessman sets up an organised vigilante force to try to clean up San Francisco. When a key member is murdered, it becomes clear that the Second Force has got severely out of hand. An old friend of Marks is a suspect in a murder investigation, but Mark refuses to accept that the man may be bad. Ironside tries to convince him otherwise, but in the process risks breaking his own friendship with Mark. When Ed and two colleagues arrest a violent man they dont take his threats seriously, but when the other two officers are murdered, Ed is convinced that he knows who the killer is. Suspended from duty he sets himself up as the next victim, determined to prove that his suspicions are correct. A cop goes bad and shoots a fellow officer, then offers to give himself up to Chief Ironside. Instead, he takes the Chief and Mark hostage, and plans to kill them as soon as his escape is certain. Ironside has to convince the mans wife that her husband is no longer the man she married. A psychiatrist friend of Ironsides is murdered, and the only clues are his collection of artworks. Is one of the artists the murderer? And if so, which one? A friend of Ironsides turns out to be an amnesiac victim without a past. The need to discover who she really is comes to the forefront when somebody tries to kill her, and it becomes clear that the Chiefs hopes for a long term relationship might not be possible with this particular girl. Lecturing on a law course at a local college, the Chief finds that one of the students is planning to prove that the perfect crime can be committed. The person responsible appears to be particularly cold and calculating, and the Chief finds that he is facing true genius. A baby is found abandoned in the Chiefs van, following an explosion at an airport. The Chief suspects that the childs mother was the intended victim of the attack, and plans to make her come forward, using the baby as bait. Marks date is found murdered in Golden Gate Park, and he is determined to catch the man responsible, with or without Ironsides help. When he decides to take the law into his own hands, however, he finds himself under arrest for the murder of the chief suspect. A decorated Vietnam war hero is found guilty of murder, but the Chief, amongst others, does not believe that he is guilty. Whilst he is trying to find out the truth, somebody else is killing off the witnesses, and the Chief himself may be next on the list.